They used to do a lot of things together. She was his shadow especially on Saturday mornings. Whether it was yard work, a trip to the hardware store or kicking a soccer ball she was right beside her dad. All time spent together was quality time – she was Daddy’s little girl and he was her hero! As she entered her teen years a lot of things began to change. She no longer woke up early on Saturday mornings and her interests no longer included yard work or hardware store outings. Father-daughter time became very limited. Counsel from some men at work suggested Dad should back-off and let her grow up. But a group of dads at the church suggested he participate in a study for dads being offered. Over a few weeks he learned that while certainly he had to let his daughter grow up, he also had a responsibility to be engaged in the process. The study emphasized the influence and impact a father has across generations for good or for bad. The significance of his role as a father resonated with him and he committed to be intentional in efforts to grow as the father his kids, especially his oldest daughter, needed. Quantity Time: “Don’t you know Me, Philip, even after I have been among you such a long time? Anyone who has seen Me has seen the Father. How can you say, ‘Show us the Father’?” – John 14:9. The Lord provided quantity time with Philip but Philip just did not get it. If Jesus could not ensure that time with Philip was of the quality needed for him to understand, what are we to do as dads to have quality time with our kids? We are to follow Jesus’ example to be there - physically present as much as possible, emotionally engaged to patiently answer questions, and spiritually leading by example. As quantity time is faithfully invested, quality time will result. Schedule adventures – father-daughter hiking or father-son backpacking. Prayer guide: Lord, thank You for the blessing of children. How wonderful those early years are when they look to me with eyes so full of love with a willingness to trust and obey as if I am You. Then, as they grow and start to push back, fathering becomes more of a challenge. Thank you for the training available in our church that reminded me that while I am not You, I am Your representative in family. Help me be a study of You as my Father and of fathering. Grant me strength and clarity on this journey to be the dad You call me to be, the dad my children need. Amen. 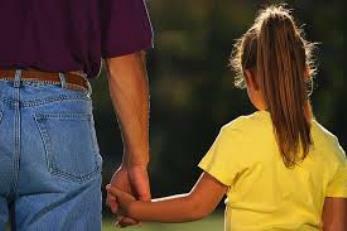 A faithful father invests quantity time to net quality relationship.